Michael Caine as Lt. Gonville Bromhead in the war film Zulu (1964). 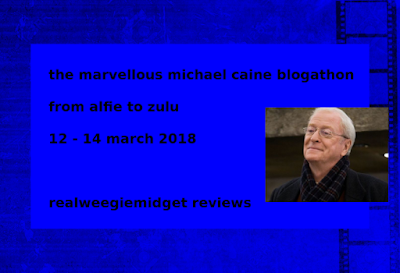 This article is part of The Marvellous Michael Caine Blogathon hosted by RealWeegieMidget Reviews. Old Hollywood studios produced dozens of films about the British Empire from the 1930s through the 1960s. 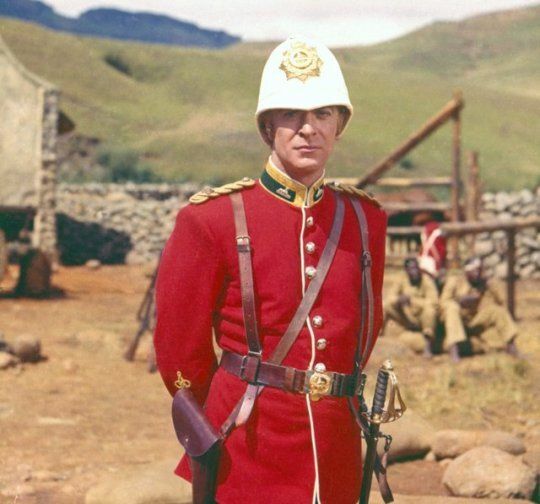 One of the last and best of this cycle of films is Zulu (1964), which also happens to be the first significant movie role for actor Michael Caine, who celebrated his 85th birthday this week. Zulu begins in January 1879 during a war between the Zulu Kingdom and Great Britain. The British government was bent on invading and colonizing what is now South Africa, but, what they thought would be an easy conquest, turned out to be quite costly when they came up against the might of the powerful Zulu army. The Zulus handed the British a punishing defeat at the Battle of Isandlwana where 2,000 soldiers were killed. The Zulu army's next move was to send 4,000 warriors to take the supply garrison and hospital at Rorke's Drift, which has just 150 soldiers under the command of the inexperienced Lt. Gonville Bromhead (Caine). 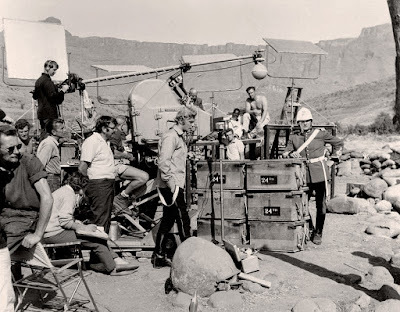 Zulu was the brainchild of actor Stanley Baker and director/producer/writer Cy Endfield who decided to make a film based on a historical article by John Prebble. Baker took the lead role of Lt. John Chard, with Caine cast as the aristocratic Bromhead, who was second in command during the Battle of Rorke's Drift. Caine, who was relatively unknown at the time, wanted to play the role of cheeky Private Henry Hook, but that part eventually went to John Booth. Despite Caine's working-class roots, Endfield thought the tall blond actor had an upper-class look, and he asked Caine to audition for the role of Bromhead. Caine later recalled that his audition was terrible, but that he was cast in the part anyway because the producers didn't have time to find anyone else. 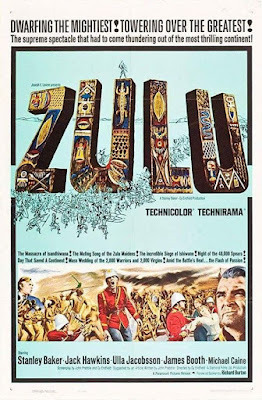 Zulu was one of the biggest box-office hits in British film history when it premiered on Jan. 22, 1964 (the 85th anniversary of the battle), but it had more mixed reception in the U.S. The film was released during the height of the struggle for Civil Rights, and many critics, such as the powerful Bosley Crowther of The New York Times, came down hard on the movie. In his review, Crowther called Zulu "archaic and indiscreet" and complained about the violence in the film during a time of "racial tension and anticolonial [sic] discord." Crowther and the other critics certainly have valid points about Zulu: No native person is given even the slightest character development, and the objectification of the Zulu women is unfortunate, especially since many of the extras in the movie had never seen a film before and may not have understood how their images were going to be used (I don't have a problem with how the women are dressed; it's the lingering closeups that bother me). Still, Zulu's naysayers are missing two essential points about the film. The first is that the majority of the soldiers at Rorke's Drift were Welsh; in fact, the main reason proud Welshman Baker wanted to make the film was to honor the courage and heroism of his countrymen. Wales has been the target of English imperial aggression since the Middle Ages, and most of the Welsh soldiers in the film regard their English officers as slightly stupid "foreigners," a viewpoint that was largely shared by their Zulu counterparts. Most of the Welsh soldiers probably didn't believe that conquering the Zulus was a noble cause (the Zulu War divided public opinion at the time); instead, the army was the only way for them to make a decent living. Michael Caine and Stanley Baker filming Zulu (1964) in South Africa. The second point is that Zulu does deal with the horrors wrought by imperialism. This is done in a subtle way, mostly through the character of Bromhead. Whatever else you can say about Zulu, Caine gives an undeniably brilliant performance that launched his legendary career. Bromhead begins the film as a lazy, foppish aristocrat who treats his time in Africa like a hunting safari until he is faced with the horrifying reality that what he thought would be a pleasant lark in an exotic land has turned into a nightmare. Bromhead is burdened by the weight of his heroic ancestors who fought against Napoleon and George Washington, but he does not feel a sense of elation after he surpasses their feats on the field of battle. Instead, Bromhead admits to only relief that he survived and a sense of shame when he sees the horrifying carnage. In the end, Zulu shows us that while war makes men heroes, it also forces them to do terrible things. There are no winners on the battlefield, only the survivors and the dead. Zulu is available on DVD and video on demand. 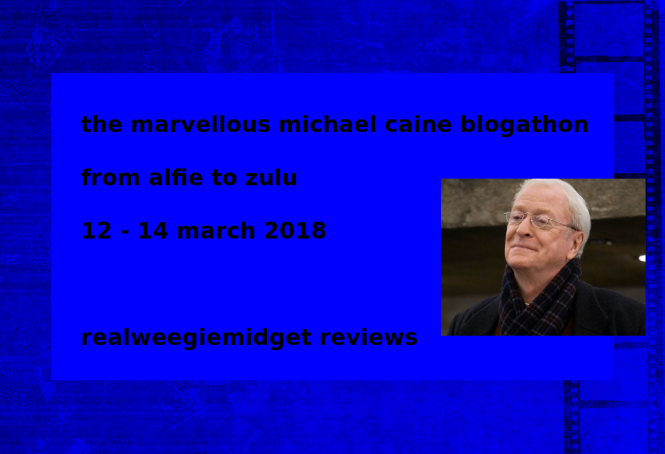 Thanks for joining the Michael Caine blogathon with this insightful post. I have to take issue with some of the things you have written here. 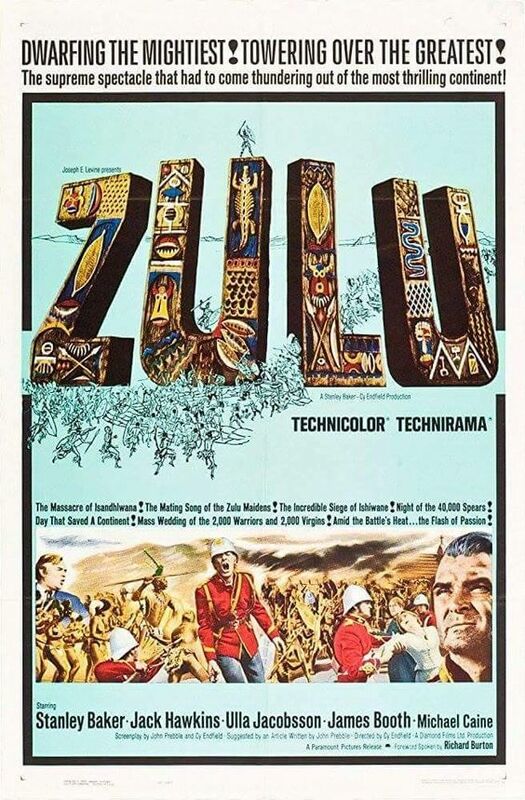 Zulu wasn't one of the last of a cycle of British Empire films made by Hollywood studios (I assume you are thinking of the likes of Gunga Din, Lives of a Bengal Lancer, etc). It was an independent film and a British production. It was part of a later cycle of 1960s British historical films (including Lawrence of Arabia, Khartoum, The Charge of the Light Brigade, etc). The British Government wasn't bent on invading and colonizing South Africa. The Anglo-Zulu War came about because of competing territorial claims between the Zulus and the Boers. The British Government hoped for a negotiated settlement, as did the Zulus. But the High Commissioner supported the Boers and precipitated a war by invading Zululand on a pretext. Admittedly, Zulu doesn't explain very much of the historical background, but much of this is shown in the 1979 prequel Zulu Dawn. I doubt if many people in 1964 would have expected much character development among the Zulu characters. This is not because they are Zulus but because they are the antagonists in a war film. The same is true of the Russians in Cross of Iron, the Turks in Gallipoli or the Germans in hundreds of WWII films. It's not a flaw in Zulu, but a feature of its genre. The idea that most of the British soldiers at Rorke's Drift were Welsh is a myth, perpetuated by the film. The vast majority were probably English. Your comment about Wales being the target of English Imperial aggression is a bit crude and misleading. Wales was annexed to England after the Norman conquest and the Normans were as foreign to the English as they were to the Welsh. I also didn't get the impression that the Welsh soldiers regarded their officers as stupid. And I didn't get the impression that the Zulus thought this either. Seriously, I do appreciate you taking the time to read and comment and I thought your point about linking Zulu to Lawrence of Arabia and the other British films of the 1960s was quite good.